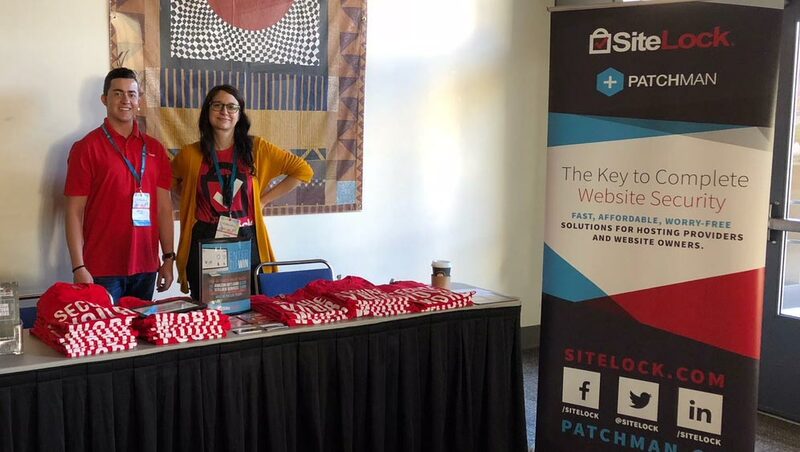 This year’s WordCamp Sacramento was full of great speakers, interesting topics and lots of enthusiastic attendees. Again held right downtown at the Sacramento Convention Center, it was 2 days of three tracks, including a dedicated Beginner’s track. SiteLock was a Gold sponsor this year and Michael I were hanging at our sponsor booth spreading the word about security for WordPress! Hey look, it’s me and Michael at WC Sacramento! Both days were packed with great sessions, including a networking session with organized games and activities to get to know eachother. Jim Kaspari gave a super informative session on local SEO – optimizing findability of a website within a local geographic area. 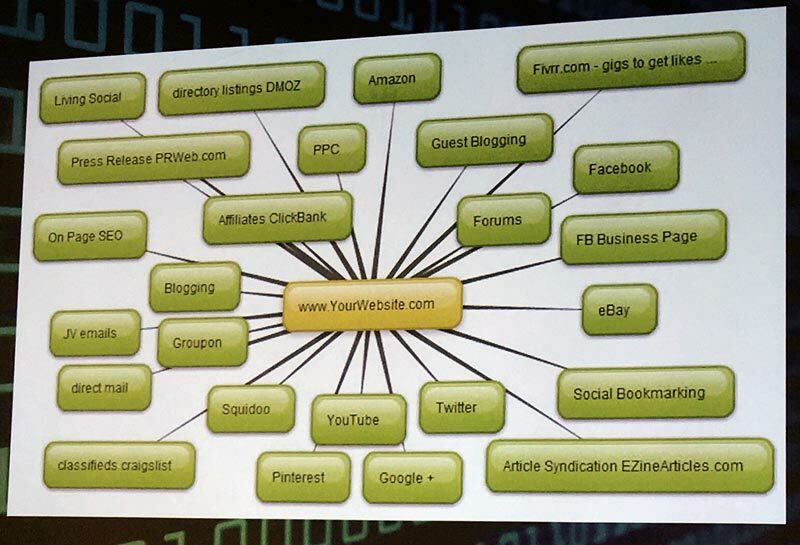 At the core of his talk, he recommends thinking of your website as the mothership: everything traces back to it. Your content may live in many places across the web, but it all links back to your website in some way. Think of all the places your content lives – does it all link back to your site?? These days there are tons of directories, review sites, social media outlets to funnel your content into. Jim recommends doing the most you can to fill out your profiles on sites such as Yelp, Google My Business (the formatted map and contact info that pops up in local Google search results), creating canonical links, making sure you include a link to your website on individual YouTube videos, etc. Podcasts are growing more and more popular these days, which created a big demand for podcasts – this is an area that is full of potential for entrepreneurship! In his talk Podcasting with WordPress, professional podcaster (and Sacramento local) Ray Ortega discussed the benefits of building a website for your podcast can help to optimize, grow and monetize your efforts. Making sure all of your distributed podcast content links back to your central site will allow you to use all the SEO tricks to increase visibility. Creating a post for each episode with an embedded player, written recap, and section for feedback not only brings you SEO points, but provides a place for feedback from your audience. Additionally, owning your domain, content, and RSS feed is the best way to ensure you always have control over your podcast assets! There’s A LOT of opportunity in Gutenberg for early adopters, trainers and developers! When WordPress 5.0 drops, there is going to be a lot of support and maintenance work, a lot of people looking for pre-built blocks and Gutenberg-ready themes. Being prepared for this is going to position you at the forefront of the biggest disruption the WordPress ecosystem has seen in many years. At minimum, Alonso recommends having a contingency plan in place for addressing your existing sites, new sites, and maintenance work once Gutenberg drops. The fact is, most people are “waiting to see” how it’s all going to play out. They are going to react when they are forced to. But the early adopters who have planned for this opportunity are the ones not only benefitting from the skills, processes and products they have built ahead of time – they are also the people who are helping to shape the Gutenberg-powered future we’ll soon be in. Alonso’s Gutenberg Block Party is still a project-in-progress, but he has plans for a full-featured Gutenberg block membership program and directory, so stay tuned! We all know the importance of keeping your clients’ WordPress site, themes and plugins up-to-date, but unfortunately many of us know firsthand the dangers of doing these updates on live sites: they can break the site. In my talk on Sunday I discussed the benefits to offering a maintenance plan to your clients, and how adding a Staging site to your updates process can save time, money, and lots of stress. 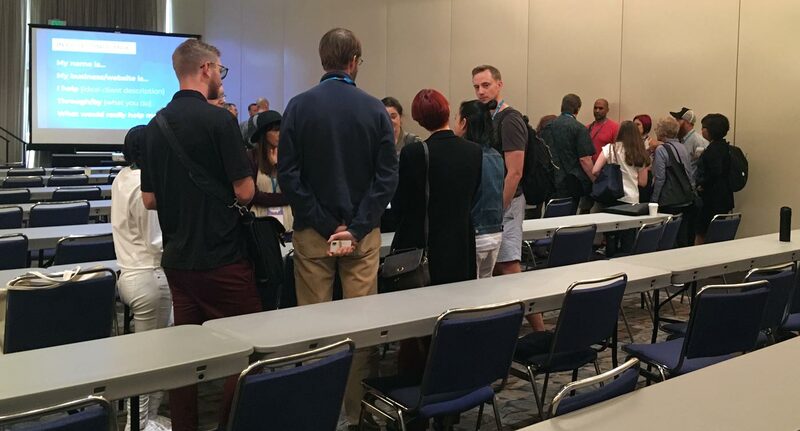 We reviewed tools and plugins, and discussed a few example workflows to help attendees evaluate the right workflow for their clients and business. You can take a look at my slides at the link below, and if you’re interested in more details on Staging Sites, check out our blog posts below for more! The weather was perfect, the venue was amazing and WordCamp Sacramento was a complete success. See you next year!